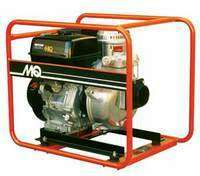 The Multiquip QPT305SLT 3″ High Pressure Centrifugal Pump with Honda GX340 engine delivers 145 GPM, 328 ft MAX Head of performance. 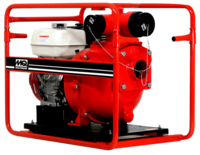 The Multiquip QPT205SLT 2″ High Pressure Centrifugal Pump with a Honda GX240 engine delivers 126 GPM & 312 Max Head. 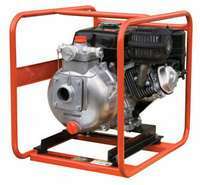 The Multiquip QPT405SLT 4″ High Pressure Centrifugal Pump with a Honda GX390 engine will deliver 210 GPM, 377 ft Max Head.